Contains: Water, Dialkyl Amido Ammonium Methosulphate, Cetyl Trimethyl Ammonium Chloride, Calcium Chloride, Citric Acid, Essential Oil Based Fragrance, Sodium Benzoate, Dye. A naturally-derived fabric conditioning concentrate that effectively softens, conditions, and deodorises fabrics. Technologically superior anti-static system ensures the fabric maintains its absorbency. Gentle enough for use on woollens and delicates and performs without irritation to skin or detrimental effect to fabrics. 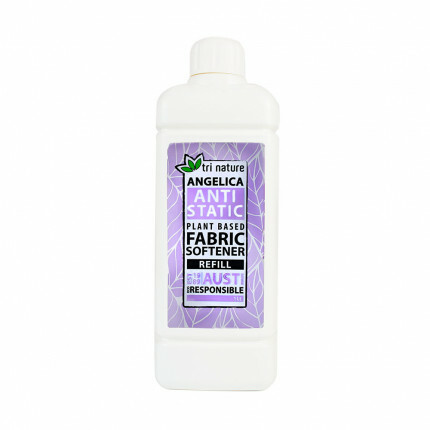 Restores the fabric’s absorbent quality, making it an unbeatable choice for towels and nappies. Build-up prevention technology - Other softeners can build up on fabric and create a waterproofing effect. Our blending technique balances softening efficiency and rewetting ability, inhibiting possible waterproofing. Gentle enough for use on woollens and delicates - performs without irritation to skin or detrimental effect to fabrics. A great choice for sensitive skin.